and such a fine sight to see. 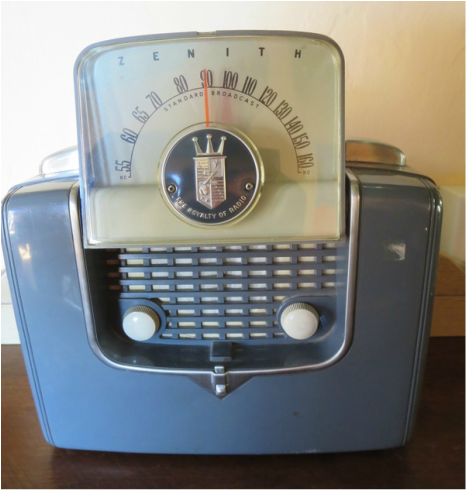 An old Zenith radio in the lobby of Winslow's La Posada Hotel. 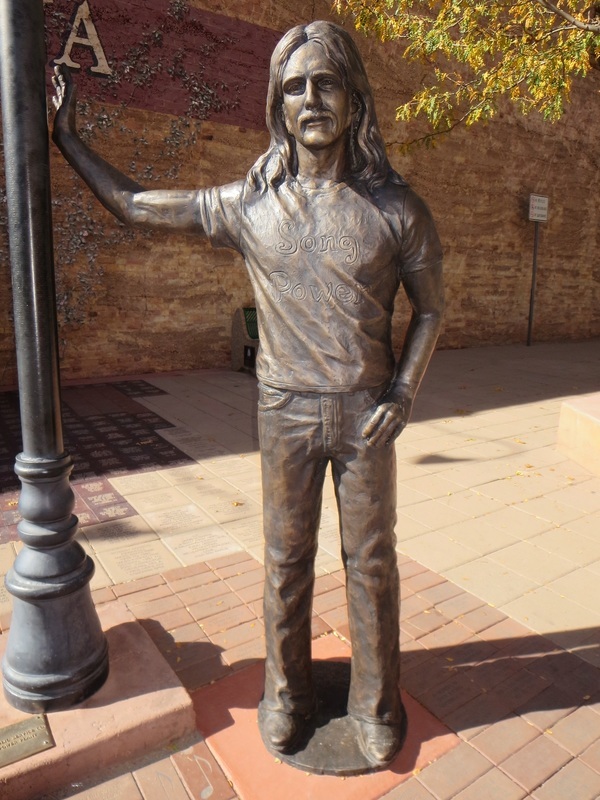 A new Glenn Frey statue installed Sept. 24, 2016, at the Standin' on the Corner Park in Winslow, Ariz. Frey wrote the song "Take It Easy" with Jackson Browne. It was the Eagles' first hit song in 1972. Driven the back roads so I wouldn’t get weighed. And show me a sign, and I’ll be willin’ to be movin.'"